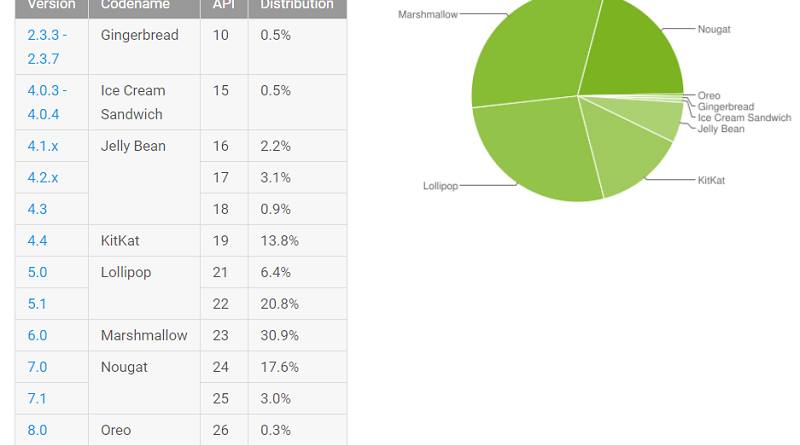 Unlike Apple and its iOS, Android is so fragmented. Talking about how many iOS devices have been updated to latest iOS 11, for those who are gadgets geeks (or at least follow the latest gadget news) they should know the answer (you probably too!) – at least 50% of the current active iOS devices in the world have been updated and using the latest and greatest Apple iOS platform. 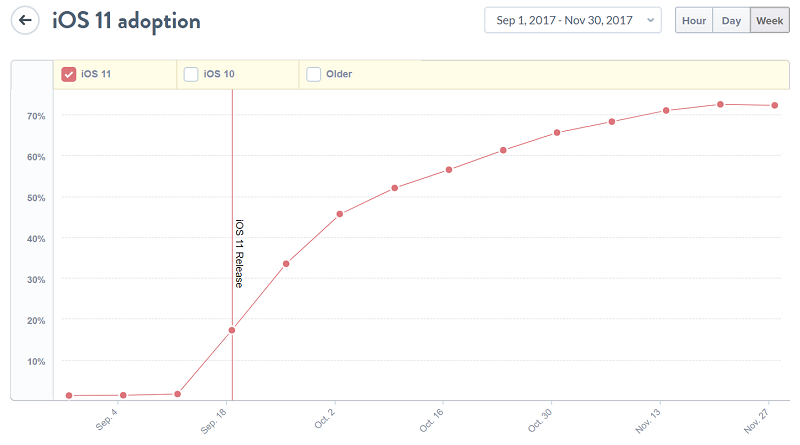 As of 30th November 2017, the adoption rate of iOS 11 reached 70%. For other trends such as , you can check directly here. Now let’s talk about how many Android devices have been updated to latest Android 8.0 aka Oreo. You may not be surprised after all. As of today 30th November 2017, it’s only as little as 0.3%. 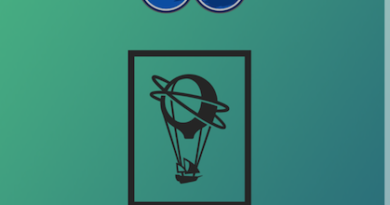 iOS 11 70% vs Android Oreo 0.3% is way too big gap. While Apple has full control of its platform, Android is different – despite Google efforts all this years – but let’s not compare iOS and Android. Android, having plenty of manufacturers with different kind of hardware, different in-house software, different standard implementations (one simple example: take a look at finger print scanner – some at the back, some at the front, some at the side button), different target markets make Android to be what Android we know today: fragmented. And that’s not entirely making Android bad after all. Let me explain. Apple with its full control over its iOS and platform, they can easily drive both the users using iOS and developers supporting iOS to adopt to the brand new released iOS. 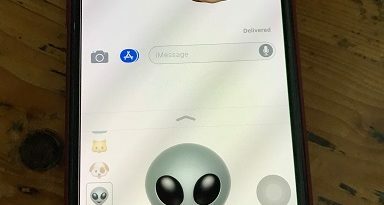 By saying having full control over its iOS platform, I mean that Apple manage to bypass all the telecommunication operators “junks” so Apple could easily send iOS updates via pop-up notification to users’ iPhone screen. Now what happen is, iOS users when they see updates are coming, they will happily upgrade – because first it’s FREE and easy to install updates; second, in people’s head, updates means new security patches and new features – which is true – although sometimes that is also means introducing a new bugs/loop holes. The new iOS, no matter how optimized Apple made for older generations of iPhone, they tend to make older generations of iPhone run slower and slower when installed each new version of iOS. 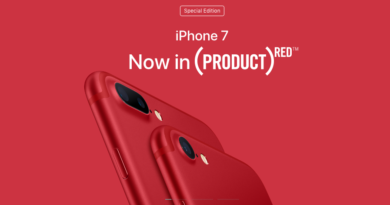 Up until certain point that iOS users feel they had enough with all the slowness and decide to move to new latest and greatest iPhone. When iOS developers seeing this trends (iOS users keep updating their iPhone to latest iOS and after certain point upgrade their iPhone) plus push from Apple to always support the latest iOS with all new APIs and functionalities, iOS developers easily move to support the new iOS version and slowly but sure leave older version of iOS because there’s not much users left using that version of iOS (due to reasons above) which from business (read: money) persepective: supporting older version of iOS with small percentage of users who are still actively using it is not making them much money hence to leave it out of cold. And that’s is exactly what happen to Apple and its iOS ecosystem. 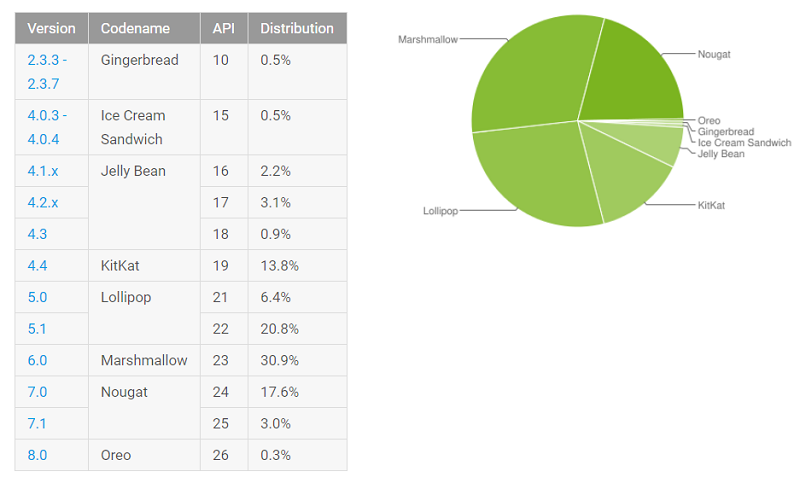 Android and its platform fragmentation. Due to Google, unlike Apple, embraces open system, where Google shares its Android operating system open so that any manufacturers, no matter how small or big they are, able to make use of the Android OS to be put into not only phones, but also tablets, smart mirror, TV box, and virtually anything. Different manufacturers have different way of sending Android updates. Some are fancy, using push method like what Apple does, some are a bit conventional, some even never send updates – due to the facts not all Android manufacturers are rich like Samsung with plenty of money to spend with. And thanks to Android open standard, each manufacturers they are able to customize Android to their taste and liking – think about Android skinning: Samsung TouchWiz UX, LG Optimus UI, HTC Sense, Sony Xperia UI, Xiaomi MIUI, and many others; plus manufacturers are bringing in bloatware apps to their ecosystem (I do believe they get money from telecommunication operator to include some apps to come as pre-installed apps – while Apple with its iPhone manage to avoid all this bloatwares). All these things – skinning and putting pre-installed apps (aka bloatware), different timing to push updates and different method of pushing updates – are the number one factors and reasons why Android is so much late in getting new updates and make them fragmented like what they are today. And that’s one big advantage Android users have compared to iOS users. By being fragmented, Android developers tend to continuously support older version of Android OS (unlike iOS developers). While iOS users have to update their iOS to the latest (or upgrade their handset to latest iPhone) to install the apps or games, Android users with current handset and OS, they can install most of any new apps and games. 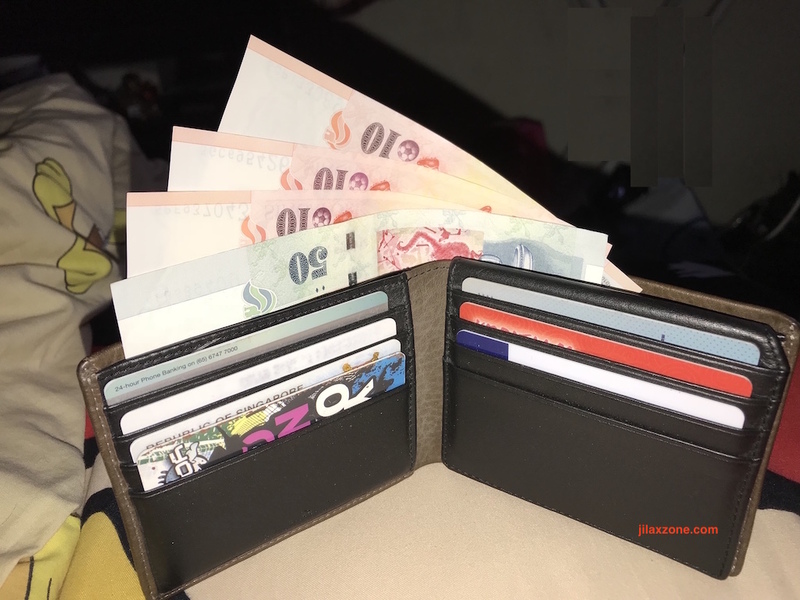 Advantage of Android Fragmentation: Save Money! And to me, it’s one big advantage I got from using Android compared to iOS. I don’t have the urge and the need to really upgrade (change) my device every 2 years or so, and in the end save more money. FYI. I am owning and actively using Nexus 7 2013 tablet as one of my main source of entertainment. From the name itself, you guys should know, this is a 4-year old tablet (today is 2017) and the last Android OS update was Android 6.0 Marshmallow – this tablet was lagging 3 years behind for OS updates. I do use it for browsing at home, I do play games with it, I do play emulator games, I do watch YouTube and all other kinds of entertainment. And so far I don’t feel any slowing down from the system. And to date, I can install any apps or games available on the Google Play Store (that a tablet can install – otherwise has to side load APK) while keep saving my money for my future Nexus 7 replacement – probably the next 2-3 years? Well, I’m going to keep this Android tablet of mine as long as possible as long its serves me good. Check my mini Android project here. Check here where I’m converting my Nexus 7 to be Nintendo Switch alike. Or check here to see I’m DIY-ing my NES and SNES mini console using my Nexus 7. Like the author of this article I also use an older Android tablet, the Samsung Galaxy Note Pro 12.2 4G LTE version. It’s almost 4 years old, but runs circles around Apple’s IPad Pro. There are several reasons for this even though its last official update was Lollipop 5.1.1. Not only the issues mentioned in the article, but the fact that that Google itself issues updates to is Google Play Services app on a very regular basis, and program manufactures also are very consistent in their upgrades. Also, Samsung has made a first class tablet that had everything in it but the kitchen sink. This is a first class prosumer tablet that enables you to work, research, and entertain yourself like none other. Think about it. The IPad Pro might have the best hardware configuration at this present time, but my Note 12.2 has better programming and a much better multi-windowing experience. Depending on the apps used you can have anywhere from four to nine independent windows on screen at any one time. Then there’s the matter of OS stability. IOS 11 has been disastrous, and even though it’s on 70% of Apple’s hardware at this time, it is still extremely problematic. Then there’s Microsoft’s Surface. It was originally released at abbot the same time as my tablet, but until a month or so ago, an LTE version didn’t exist. Yes, I’d like to have Samsung come up with a new, and mind-boggling version of the Note 12.2, and possibly they may do so later this year, but for the present I’m still extremely happy and impressed with my android tablet with no intention to replace it with anything else. Totally agree with you. That’s another difference between iOS and Android, where Google – despite the OS never gets updates anymore – it’s Play services are still updated regularly. The first question when buying a mobile phone is usually: Android or iOS? Often a landmark decision for many years – and a question of faith. Today we show the Android vs iOS comparison and the strengths and weaknesses of both operating systems.